A Control Contractor in Tacoma WA. Sound Energy specializes in the design and engineering of automatic temperature control systems in commercial and industrial buildings. We can retrofit legacy systems or we can design and build a completely new system from the ground up. Our skilled technicians can provide fully blueprinted design and build specifications for any job, from small renovations all the way up to large industrial or commercial facilities. Sound Energy serves clients in a wide variety of industries including aerospace, hospitals, hotels, public works, military bases, office buildings, schools, college campuses, commercial high-rise office buildings, food service, laboratory environments and many more. Our talented design and engineering team will carry out a comprehensive site survey to determine your temperature control system needs, and will then use that information to design an efficient, cost-effective system for your facility. Certified support engineers will then complete the installation to exacting standards and provide necessary training. Sound Energy also provides a complete range of preventative maintenance programs to protect your investment, and to ensure improved building efficiencies, comfort and productivity. 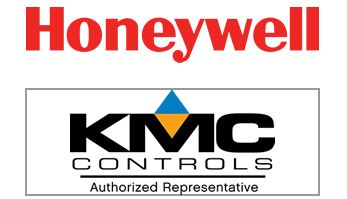 Our service department consists of experienced technicians who are certified on temperature control systems for pneumatic, electric and digital controls. All Sound Energy technicians have qualified factory training on major manufacturer control systems and are on call 24 hours a day for emergency service.